Watchdog Protection Services are an experienced and reliable alarm and CCTV specialist. They offer a wide range of alarms for various different requirements, such as fire alarms and burglar alarms. Watchdog Protection Services cover Cardiff, Newport and South Wales. They will attend to any system 24 hours a day, for when you need them most. 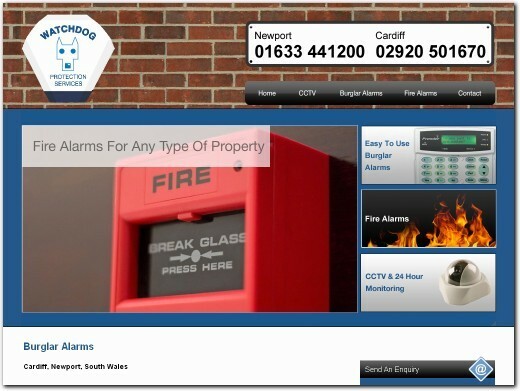 UK (Caerphilly) based company - established in 1988 - providing security solutions including alarms and CCTV. Website includes details of services / solutions provided, pricing, associations, geographical areas covered, full company contact details.